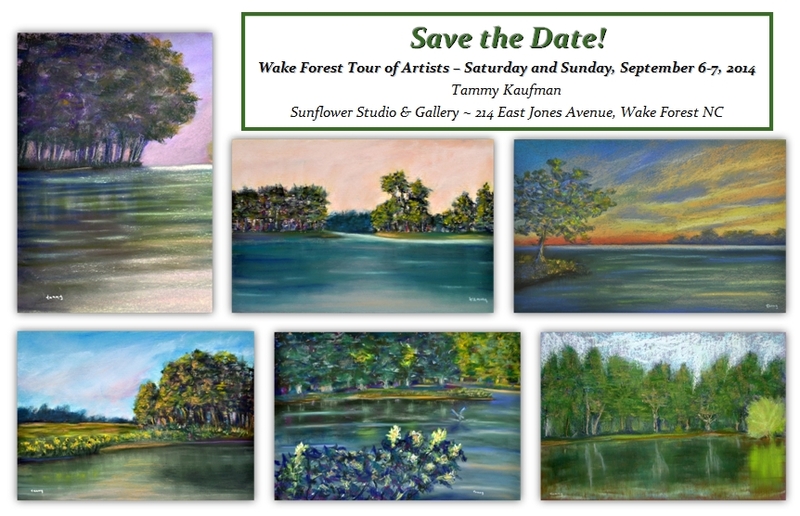 The 19th Annual Wake Forest Tour of Artists is fast approaching - Saturday and Sunday, September 6 and 7. This year's Tour is shaping up to be incredible with over 60 artists in 16 locations! I will be at the Sunflower Studio and Gallery, 214 East Jones Avenue in downtown Wake Forest, along with 12 other very talented artists, and I'm looking forward to sharing my love of art and demonstrating my pastel techniques for you. Please come out and enjoy a delightful weekend visiting all the local artists and galleries, and the chance to win a gift basket filled with artsy goodies!